Jughead and Fangs are alive. In the beginning of the episode, we cut to the scene fans have been talking about from the preview in the cemetery. Luckily, it was just a dream and our protagonist, Jughead is alive in the hospital. We also learn that Fangs is going to be alright too so fans everywhere can take a deep sigh of relief. While these answers immediately comforted me, the drama is nowhere near over. Jughead remembers that Mr. Lodge is behind everything, but his father, FP tries to tell him that the Serpents don’t exist anymore. Betty and the others are beyond thrilled to find out that Jughead is alright, but Archie cuts to the chase when he explains that “there’s another mystery to solve.” Who is the second black hood? Theories are running wild, as they know that Mr. Lodge could be behind it since the motives seem to be purely political. But how are they going to prove it? While we get an answer to this question later on, it seems a little bit too easy and I’m not sure I’m buying it. Veronica is still supporting Fred in the mayoral campaign, as she has taken a stand against her family. She is done letting her father call the shots and it looks like Hermione has finally come around as well. But can her motives be truly trusted? We know that Mr. Lodge is a master manipulator and I would like to think that Hermione is trying to do right by her daughter, especially since her husband’s actions nearly got them both killed. You can never be too careful with a Lodge, however; as we know that every action has intent behind it. Hermione explains to Veronica that Mr. Lodge needs the Southside bar, “Whyte Wyrm” to further his plan. Veronica seeks out the help of our favorite lawyer in town, Mrs. McCoy in order to get her money back. This may be the only chance she has to stop her father, but is she ready to take him on and face the consequences? Veronica soon realizes that “there’s a better smarter play here.” She buys the “Whyte Wyrm” and makes a deal with her father. She offers to trade it for Pop’s Diner. Veronica realizes that Pop’s Diner is the only safe haven left in town where the people of Riverdale can truly belong and is not about to let it remain in her father’s clutches. But is this really the right move? Mr. Lodge tells Veronica that if they make this deal, that’s it. Her credit cards, her trust fund, and her legacy will all be gone and there will be no turning back. While we see the hesitation written over Veronica’s face, she accepts the consequences and the deal is done. After all, “it’s all blood money anyway.” But is Veronica really ready to take on a simple life where nothing comes easy? At least she has her new business venture to distract her for now. Cheryl works with Mrs. McCoy as well and Nana Rose is now officially her legal guardian. Cheers Cheryl! You deserve some happiness for sure. Cheryl is beyond excited to deliver the papers to her mother, but is surprised to discover a secret meeting between her, Claudius, and Mr. Lodge. Cheryl tells Veronica about what she saw, knowing full well that they were not trading maple syrup recipes. Later on, Cheryl is getting ready to visit her “Cherie,” which I have to say is an adorable term of endearment for Toni. Cheryl’s mother warns her not to go to the “Whyte Wyrm” because it is about to be raided by the police. It seems like Mrs. Blossom has actually shown some concern for her daughter, but why now? Either way, Cheryl warns everyone and Archie and Jughead get the Serpents out safely. After the Southsiders receive a memo from the principal that they are going to have to go to “Seaside High” due to sudden overcrowding, no one is ready to just accept this. All of our favorite characters are wearing Serpent jackets and are ready to walk out, showing their support for the Southside. Toni tells Cheryl, “that jacket looks good on you” and of course Cheryl replies with, “Everything looks good on me.” When Toni suggests that they “make it official,” Choni fans everywhere are swooning. While we know she means becoming a Serpent, perhaps they can finally make their relationship legit. These two beautiful ladies have definitely earned it and have proven their love for one another over and over. It’s about time they get some time in the spotlight. Don’t you agree? While all of the drama with Mr. Lodge is taking center stage, Betty and her mother are trying to put the pieces together again after Hal is taken off to jail. The paparazzi are surrounding the house and Alice practically has a breakdown when she screams at them and quotes Dante, suggesting that their house is the entrance to hell. Well darkness certainly resided there for quite some time, but the goodness of Alice and Betty certainly outweighs it. Betty blames herself for what happened, however; and feels like she should have been a better detective and seen what was right in front of her. While everyone around her reminds her that this is not her fault, Betty is still having doubts. She wonders if evil can be passed on and Jughead tells her that she is a good person. Now it’s up to Betty to believe this. But can she deny the darkness whirling around within her? After initially deciding not to visit her father, Betty decides to go see him anyway. Her strength is admirable and one can’t help but cheer for her in this moment. After telling her father that she is not like him, he asks her why she is really there. Betty’s response gave me chills, as she tells him, “To say goodbye Dad. No more darkness. No more evil. It’s over. You have no power over me.” In this moment, I was literally standing up and cheering for our girl, Betty Cooper. While her father seems convinced that she will return, this moment allows her to truly move on and embrace the goodness within her. I couldn’t be more proud. Go Betty! Now Alice on the other hand seems like she may be in need of some serious guidance. Polly lets her know that she wants her to meet the person who “healed” her, but there is definitely something fishy about this. The set up is certainly there for next season, but will Betty be able to save her mother from a possible cult? We’ll have to stay tuned to find out. The end of the season finale brings a lot of change, as new leaders step up and heroes are torn down. Archie is officially announced as the president of the school, which is certainly the right choice. We also learn that the Southsiders are still welcome at Riverdale High. Hooray! Fred, on the other hand, loses the election to Hermione, but not without truly making an impact with the Southsiders. After all, Fred opened his home to them and reminded us the importance of being a good neighbor to those in need. Hermione shows up at his doorstep and congratulates him, which actually seems sincere, so perhaps Riverdale does still have some good leadership after all. Leadership changes within the Serpents as well, as FP officially retires and passes the torch to Jughead. Jughead accepts and his first order of business is to give Cheryl her red Serpent jacket, which matches perfectly with the killer red boots she wore to the ceremony. Is there a Serpent dance in Cheryl’s future? We’ll have to see, but it’s great to see her become a part of this group, especially since she has been searching to belong for so long. Well deserved Jughead and Cheryl! While all of these new leaders step up, a dangerous group has come to power, however. Mr. Lodge sits with his inner circle and discusses the plans for the future. Everyone clearly has their own role to play. For example, Claudius will handle the drugs and Mrs. Blossom wants a brothel. Seriously? Well I guess that’s to be expected. There is someone who still stands in the way, however; and Mr. Lodge is ready to eliminate the threat once and for all. Archie sneaks into the Lodge house and threatens Hiram. He tells him that he knows he is behind everything, which includes Tall Boy supposedly being the second Black Hood and reminds him about the boy, Cassidy who was killed when they went up to the lake. Archie tells him, “wherever you go, whatever you do, I’m gonna be there watching.” Archie seems to be channeling his best impression of Liam Neeson here when he slams down the knife on the table to show he means business, but Mr. Lodge is ready to accept the challenge. Right before Archie is sworn in as the president of the school in the auditorium; Mr. Lodge shows up and nods at him, as if to say he won the battle. Archie is arrested for the murder of Cassidy up at Shadow Lake. While Mr. Lodge may have won the battle, he has certainly not won the war just yet. It looks like Bughead will need to take a break from being King and Queen Serpent to put their detective skills to the test to save their friend. If anyone can help Archie, it’s his friends and family. Look out Mr. Lodge because you are absolutely outmatched. Stay tuned! I hope you enjoyed the list and feel free to post your own thoughts and theories on Riverdale in the comments section below. Thanks for reading and happy viewing! Just as the curse is broken and everyone’s memory is restored, it seems like our happy ending is right around the corner. Only there is one more test that everyone must face in order to obtain it. Henry is beyond happy to be reunited with his wife, Ella and his daughter, Lucy, but wish Rumple takes advantage of his love for them and traps them in the wish realm. He threatens Henry and explains that he will destroy his family unless he retrieves the Dark One’s dagger and brings it to him. Henry finds reinforcements when he goes to Regina, Rumple, and Nook for help. Regina reminds him that “we don’t negotiate with villains” and talks about the importance of sticking by your family and protecting it no matter what. They decide to go into the wish realm to save Ella and Lucy, using Alice’s cracked looking glass as a portal. While they do not really know what to expect on the other side of the portal, they are ready to face whatever or whoever gets in their way, including some familiar faces. Old friends and enemies return. In wish realm, Henry and the others come across several familiar faces that will have OUAT fans everywhere cheering. While the end of the show is near, it’s important that we look back on all of our past friends and enemies who have shaped the show and made it what it is today. While Nook gets some help from our old friend, Ariel, other not so friendly faces are lurking behind the corner. Peter Pan warns them as soon as they get to wish realm and Cruella holds on to her fur coat, but not her hair color unfortunately, as Henry later strips the black from her hair, which is the ink he needs for the Author’s Pen. While we know more familiar faces will be surfacing in next week’s series finale, these characters are not to be forgotten, as they provide us with a reminder and a sense of nostalgia of the earlier days of Once Upon a Time. Rumple decides to have a talk with himself. He explains that he doesn’t want to force the dagger on an innocent and is happy to hand it over to him. He thinks that wish Rumple could be the loophole he has been searching for all along. But is he really ready to make a deal with his darker self? Rumple explains that the one enemy he can never defeat is himself and is ready to get the happy ending he has been searching for. However, Rumple has a trick up his sleeve, as he uses the squid ink Ariel gave them to trap him. Rumple is ready to defeat his alter-ego, but Regina walks in and wish Rumple escapes. While we know it can’t be that easy to defeat wish Rumple, it’s important that our Rumple is taking the necessary steps to finally do the right thing after repeating his mistakes over and over. Rumple truly loves Belle but is willing to sacrifice reuniting with her if it means saving his family. This transformation reminds us that it’s never too late to do the right thing and that having people in our lives who support us can make all the difference. Like our version of Rumple, wish Rumple has not revealed his true intentions up front. We learn that he has another agenda and it involves Henry. Henry’s emotions are running high, as he is worried about the safety of his family, clouding his good judgment in the process. He makes the rash decision to obtain the Author’s Pen and is warned by the author to use it to record, but not create. Wish Rumple has been after the Author’s Pen this entire time and uses wish realm Henry as his instrument of destruction. Even though our version of Henry turned down Rumple’s deal, wish realm Henry never had a single wish come true and is broken from this. He is desperate enough to make a deal with wish Rumple and to rewrite history. We know this can be extremely dangerous and it’s up to our favorite heroes to put a stop to this before all of their stories are rewritten. After all, words are very powerful, but the intent behind them is what gives them their true meaning. Tilly and Margot are ready to save the day. Tilly/Alice gets a pain within her and recognizes immediately that something has gone terribly wrong. She and Margot/Robin go to Tiana for help. Tiana has been having doubts about her new role as a queen, but puts this aside when she stands in front of her people and asks them for help. Her words are inspiring and remind us that you don’t always have to possess magic in order to make a difference. Tiana’s words are enough and a magic bean is turned over to help Tilly and Margot get to their friends to save the day. Only they need to make a quick stop first to get some help from some friends. Next stop Storybrooke! I am beyond excited for the conclusion of the series finale next week, especially since some of our favorite characters will be returning. While it’s bitter sweet to see the ending finally arrive, I cannot wait to see how it all unfolds. How about you? Stay tuned! In the beginning of the episode, Cheryl opens her door and finds the Black Hood waiting for her. She doesn’t waste any time and rushes up to her bedroom. Cheryl is able to get out the window to her bow and arrow set and shows off her impressive archery skills. Cheryl’s got a crimson hood of her own and takes on the Black Hood without revealing the slightest bit of fear. Cheryl is not a scared little girl anymore, embracing the hero within her and defending herself. She calls Betty to warn her that the Black Hood is wounded and heading through the woods. Betty’s initial reaction is to run to her father, but soon learns that she may not be able to reason with him anymore, as the darkness and madness within him have fully consumed his actions at this point. After Fangs is shot, the Serpents are looking for vengeance and decide to destroy school property to make their point. Archie attempts to get them to stop and reveals the new information that Midge’s mother is responsible for shooting Fangs, unable to process her grief and looking for someone to blame. While one can be sympathetic toward Midge’s mother, the Serpents do not back down, as they explain that this is further proof why they need to destroy everything on the Northside. Archie is ready to defend, but there is no need to do so when Principal Weatherbee proves to be someone you do not want to mess with, especially when he has a baseball bat. Let’s hear it for the adults of Riverdale! Later on, the Ghoulies show up at Pop’s Diner and surround the place, leaving poor Archie alone again to try and stop them. Luckily, it’s “Riverdale Dads to the rescue,” as Kevin so eloquently put it, when Sheriff Keller, Fred, and FP show up to defend their town. I mean seriously Archie cannot take on every single threat, but it’s great to see some teamwork here even when Riverdale is being threatened left and right. While fans everywhere have accepted that Hal Cooper is the real Black Hood, we have been waiting for some solid evidence. Well it’s finally arrived as Hal is no longer hiding his identity. After Cheryl wounds him, he leaves the hospital, but not before killing a doctor in his way. Betty realizes that the monster within Hal is no longer thinking rationally and worries for her mother’s safety when he threatens her. Betty rushes home and Hal tells his daughter and wife that he wants to show them a home movie. Alice is immediately confused, as Betty’s suspicions have now become a reality. A killer is born during the film, as we see Hal as a young boy speaking to his mother about why he has to lie about his father killing the Conway family. His mother tells him that “sinners have to die” and that Hal “must do better.” Hal wants the conversation recorded so he can tell his story. He admits that he is the Black Hood and takes credit for all the attacks and murders he is responsible for. When asked about Fred, he mentions his adultery, focusing purely on cleaning up the sin in this town. Hal does not take credit for the shooting at the debate, however; which makes Mr. Lodge our prime suspect once again behind this crime and perhaps in the second attack against Archie and his father. 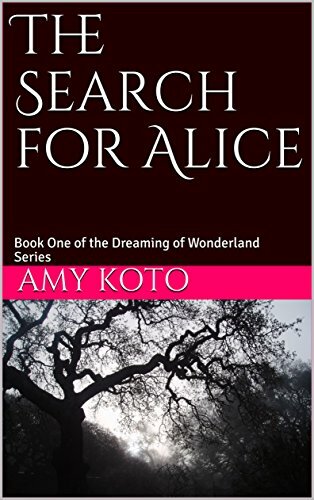 When Alice and Betty realize the immediate danger they are in, Alice becomes a hero we can root for. She tries to provoke Hal to distract him and it works like a charm. After Hal tries to choke Alice, Betty knocks him out, proving once again that team Betty and Alice is a force to be reckoned with. They call the police and Hal is arrested, ending the threat that has been tearing Betty’s life apart for now. But something tells me that this is not the last we will see or hear of Hal Cooper, the Black Hood. Jughead makes the ultimate sacrifice. Penny and the Ghoulies are back and demand that the Serpents give up and leave so that they can take over this town. Penny takes things a step further when she holds Toni captive, demanding that Jughead pay her a visit. Luckily, Jughead brings some back-up, which is none other than our favorite archer in town, Cheryl Blossom. “Untie her you Serpent Hag!” I found myself cheering as Cheryl rescues her love, Toni, proving once again that Choni is absolutely swoon-worthy. Jughead realizes that the Serpents are no match for the Ghoulies and calls up the devil himself, Mr. Lodge. Jughead has put together all the pieces and knows that Mr. Lodge is pulling the strings here. He makes a counter offer and shows up alone to see Penny, but not before he calls Betty to tell her how much he loves her. Betty immediately knows something is wrong and calls FP who rushes off to help Jughead. The end of the episode leaves fans with a cliff-hanger that perhaps no one saw coming. FP emerges with Jughead’s lifeless body in his arms, covered in blood with his tattoo burned off. Is our main protagonist really dead? What happens now? The questions are unending, as we need to wait a very long week to get to our season finale and finally learn the fate of our beloved Jughead Jones. Let’s try to stay positive Bughead fans, but it looks like we need a miracle in Riverdale.